After a brutal Iowa winter — when even my 3-year-old said we needed to move elsewhere — I am over the bitter cold and ready to stop hibernating. This year, I used my hibernation time to master some tasty creations that satisfied my pickiest eater and fed my obsession with sneaking fruits and vegetables into every meal! If you’re like me, and hear, “Mommy, I’m hungry,” every two hours, then you understand the need to have healthy, kid-friendly (and husband-approved!) snacks constantly on hand. I use organic ingredients wherever possible, which makes my heart happy knowing that I lovingly made something nutritious and tasty that my family loves. Below are a few of my current favorite recipes. While the deviled eggs and hummus are special occasion treats for us, we make the muffins and roasted chickpeas almost weekly. Happy spring — enjoy! Sneaky Blueberry Muffins: These may look like your typical blueberry muffins, but they’re hiding a healthful secret. Packed inside is a cup of whatever vegetable or fruit puree you have on hand (our favorite is squash or half squash, half sweet potato). Get the recipe. Crunchy Roasted Chickpeas: These roasted chickpeas are a snack that can be enjoyed by all as substitute for nuts or crackers. You can also make a trail mix of popcorn, roasted chickpeas and dried fruit for a treat. Get the recipe. Chick Egg-a-Moles (Guacamole Deviled Eggs): This springtime twist on classic deviled eggs is perfect for Easter — who can resist cute food? Get creative with the mix of spices for garnish. Get the recipe. 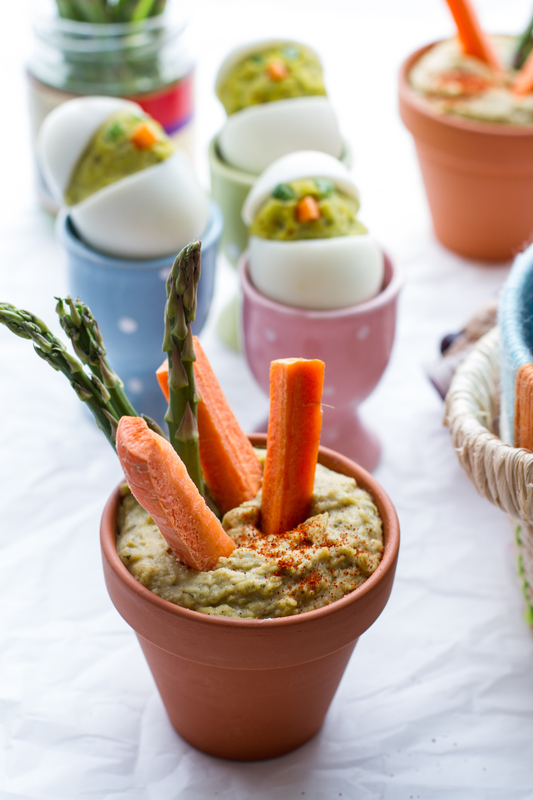 Hummus Pots: This is my spring treat for my boys, and would also make a fun Easter snack. I used a traditional plain hummus recipe, but you could also find a good store-bought variety, then add roasted red pepper, grated garlic, cayenne or whatever other spices sound good to you. Fill a few small (clean) flower pots with hummus, then stick peeled carrots, asparagus and other vegetables into the hummus. Serve on a platter with additional veggies and crackers. What are your favorite kid-friendly spring snacks? 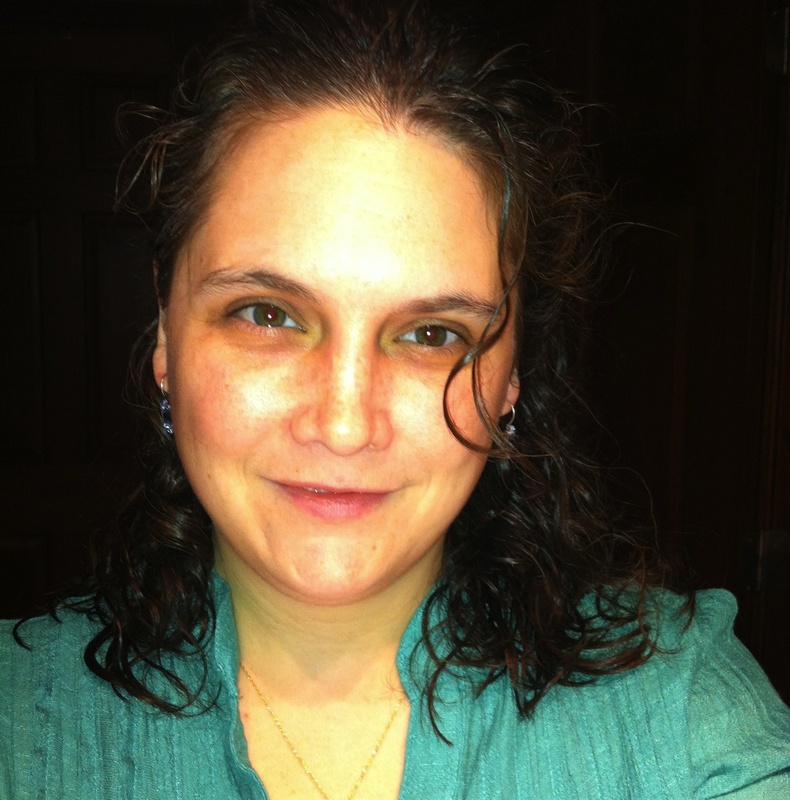 About the author: Sara works in Research & Development at Frontier, which means she works with many internal departments to find innovative ways of meeting customer demands. Outside of work, she enjoys turning leftovers into something new, stretching food boundaries with her family, camping and, of course, spending time with her sweet little boys! This entry was posted in In the kitchen by Cayenne Room. Bookmark the permalink. You should consider Arizona, yes it is warm about three months during the summer but during the winter it is beautiful here, all you need is a light coat. If you start missing the snow, you can get in your car and drive to Payson or Showlow and you have snow, it is about 2 1/2 away.